Whether you are having a corporate lunch, a large birthday party or a wedding reception, you will need delicious catering to feed your guests. 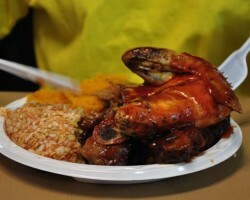 If your favorite foods are mostly BBQ then that means hiring the services of BBQ Joes. You will be able to look through their menu of slow cooked, melt-in-you-mouth meats and side dishes and choose which ones you would like to have most on your big day. This company is even flexible in accommodating special requests such as creating a crawfish roast. 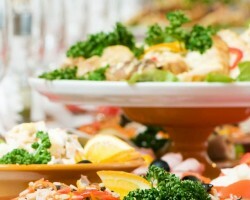 Wedding catering in Greensboro, NC is rarely cheap but that doesn’t mean that it has to break the bank either. Vision Catering offers menus at various price ranges so you can pick the one that suits your tastes and your budget without losing the quality or the flavor of the food. What makes this company the best for North Carolina weddings is their flexibility and talents in the kitchen. This team recognizes that this is your big day and they work to do their part in making that day extra special. What makes Thyme 2 Cater one of the top wedding catering companies in Greensboro is their dedication to creating beautifully presented and delicious foods. This company does not just make a standard menu for every event but rather work with the couple to customize dishes that will suit the style of the occasion and include the favorites of the couple. 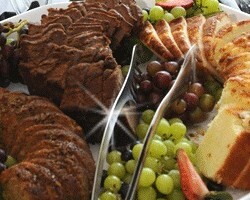 You can make special requests of this company too which means you can have your favorite Mexican food or appetizers. Above and Beyond Catering offers more than just great food and service, but they also offer table, chair and tent rentals to complete the dining experience. As local caterers, this company works to make all of their services as affordable as possible to their clients without ever compromising the quality. When you hire this company you will be blown away by the range of menu choices and the freshness of the dishes on the actual day of the wedding or other special event. 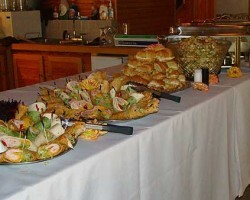 Painted Plate Catering is the Greensboro catering service that couples choose for their big day when they would like to experience fresh and delicious foods that are packed with flavor. 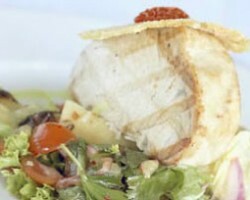 Whether you would like classic Italian catering or would like the chefs to come up with something totally unique for your occasion, this company has the flexibility and the talent to accommodate for all of your needs and special requests. This combination along with affordable prices makes this a great option.